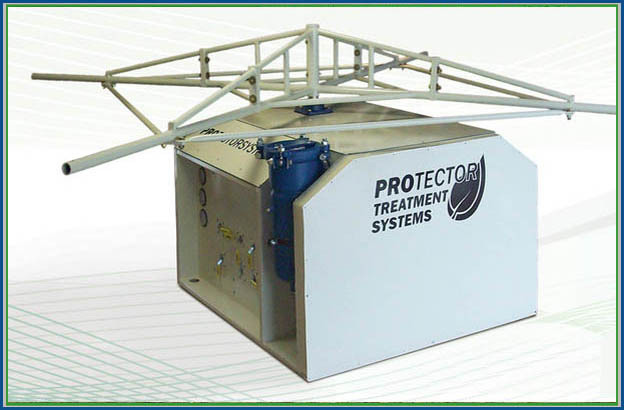 Whether you are interested a humanitarian program, a water vending kiosk or a commercial water treatment system, PROtector Treatment Systems will work with you to design and build the optimal system for your application. In order to understand the real benefits of using PROtector water treatment systems, we need to take a look at them 'in action'. This means an in-depth study of how the machines are received by communities, how they improve water quality, how easy they are to operate & maintain, & how durable they are 'in the field'. Helps us provide clean, fresh drinking water wherever it is needed. ENV Product's UV, Ozone & Chlorination systems are also available from our East Africa Office. To provide clean, fresh drinking water to communities in developing regions all over the world. According to the UN, water-related diseases are the leading cause of death in the world, taking the lives of 6,000 people every day. Such diseases are contracted from drinking unsafe, contaminated water in locations where adequate treatment is either unpractical or unaffordable. The total number of people around the globe without sustainable access to safe drinking water currently stands at over 1 billion - a shocking figure which equals one sixth of the world's population. According to the UN, water-related diseases are the leading cause of death in the world, taking the lives of more than 6,000 people every day. Such diseases are contracted from drinking unsafe, contaminated water in locations where adequate treatment Woman in Flood Pumping Water is either unpractical or unaffordable. The total number of people around the globe without sustainable access to safe drinking water currently stands at over 1 billion - a shocking figure which equals one sixth of the world's population. Whilst the common consensus is to dig wells and drill boreholes, the extracted water is often brackish (salty) due to having a high mineral content – and in many parts of the world, groundwater contains harmful 'dissolved' contaminants such as fluoride and arsenic. Furthermore, boreholes, wells and underground storage tanks are prone to contamination from surface run off, sewage and seawater - especially in the wake of a storm, flood, earthquake or other natural disaster. 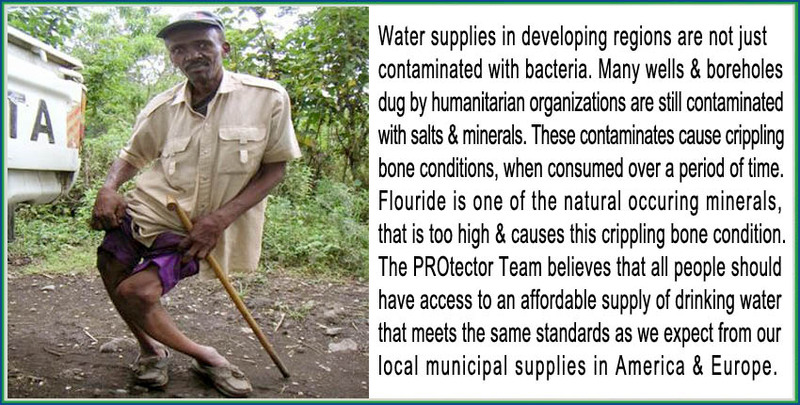 PROtector water purification systems are able to extract and treat water directly from boreholes, wells, streams, rivers and lakes. Each system is custom designed and configured to treat water from a specific source, ensuring that the maximum amount of water is produced for the minimum amount of energy expended. 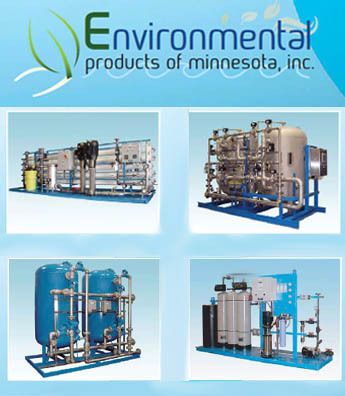 Our system designers utilize ceramic, nano, ultra and reverse osmosis filtration to remove contaminants such as silt, colloidal particles, bacteria, viruses, protozoa, cysts, metals, fluoride and arsenic. We are also able to produce systems that reduce salt from brackish water sources to safe and palatable levels.